My most longest friendship ever is with a Moroccan whom I’ve known since we were 2 years old and who I’ve nicknamed “Dr Diva”. Fast-forward 25 years later and I’ve come to the realization I’ve never had couscous in my life until this very summer. 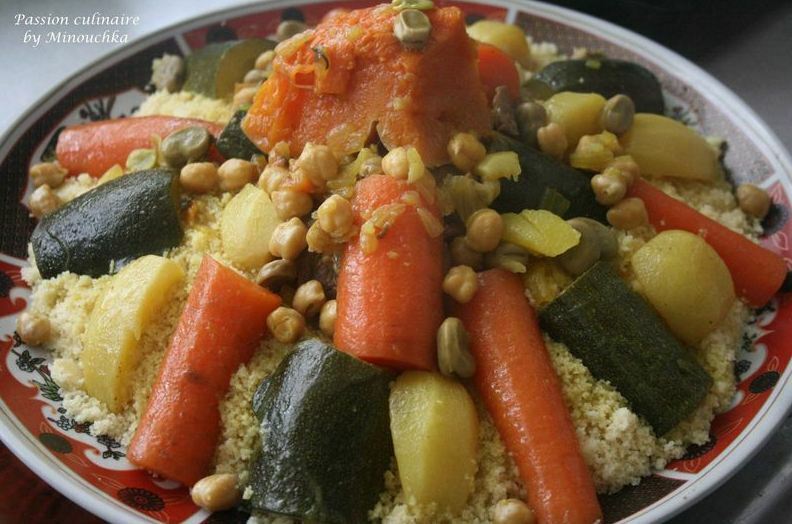 The couscous was made by one of Top’s (my eldest bro) best friend K. right before she started her Ramadan. She got the recipe on a French blog but still gave it her own little twist. She also tried teaching me how to do it the traditional way but I was set on cutting the veggies cause Lord knows I don’t have that kinda patience. 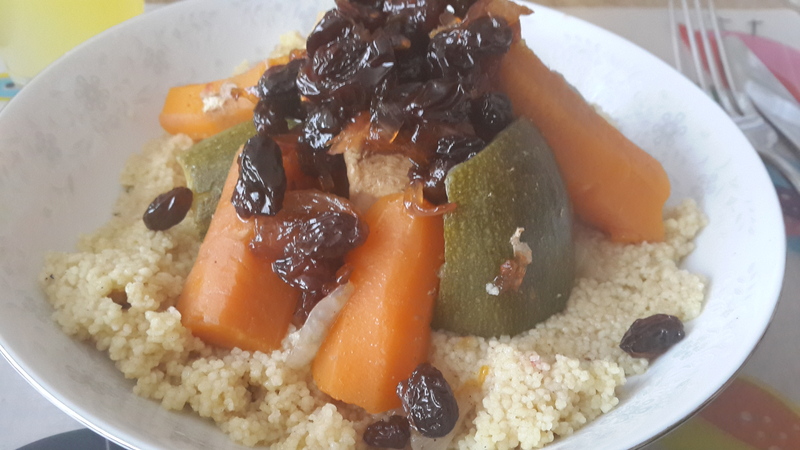 After every 15 to 20 minutes of cooking, she had to remove the couscous and place it in a large bowl, sprinkle it with a little water and stir it to aerate the seeds. Steam it again and repeat 3-5 times till the couscous is cooked. The best way to describe how to make her couscous is that it requires quite a bit of organization and a whole lot more of discipline. The end result however is something you can’t argue with. I may have never had couscous before but I somehow already knew I’d probably never eat something like this ever again: the veal and the vegetables were so soft and juicy, you hardly had to chew on them. I’m not an ace in describing food so let’s just end this review by saying it was as good as it looks on the picture. My couscous counter went from 0 to 2 within 2 months as Dr diva wanted to make me and our other bestie Kel her own couscous. She made it the way I’d want to make it: within the hour. It may not have been the traditional way and the chicken may not have been as soft and juicy but it was everything a couscous had to be: yummy. I might make an attempt to cook some couscous someday but I’d need a whole day off from work for this. Since I’m more keen in going on holidays, it’ll probably be for sometime next year cause I already know I’d need at least a whole day of preparation to not screw up this dish.